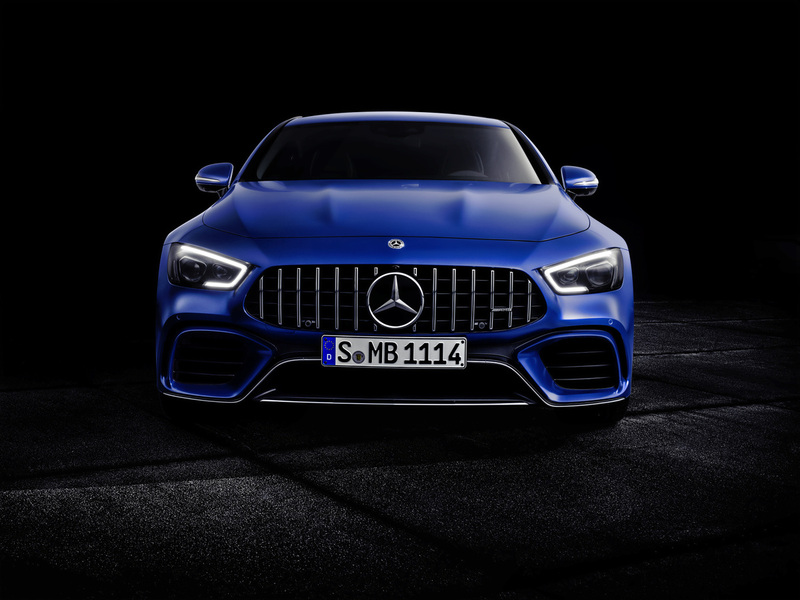 After months of teasers, Mercedes finally pulled the wraps off of the brand new AMG GT 4-Door Coupe at the Geneva International Motor Show Tuesday. 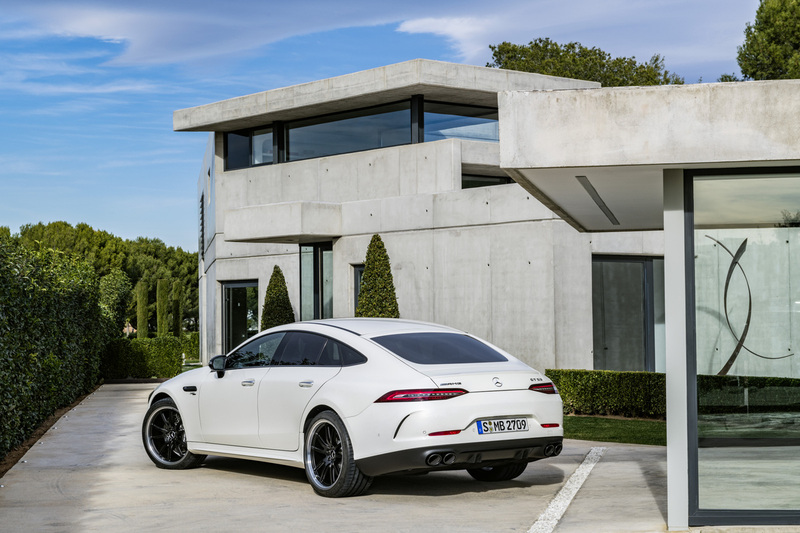 This car was developed in-house by Mercedes-AMG, offering fewer compromises than the spiced-up Mercedes-Benz the brand's performance division usually works with. 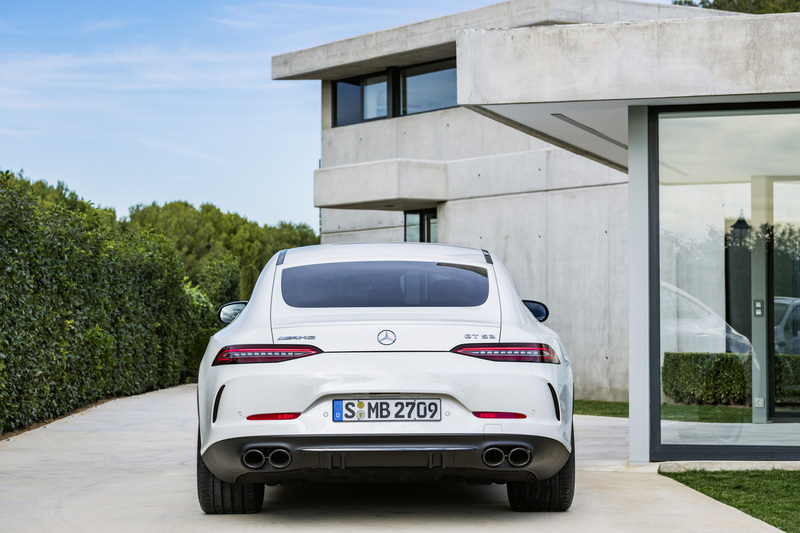 The 4-Door Coupe builds on the AMG-GT sports coupe on which it's based, adding more power and space. 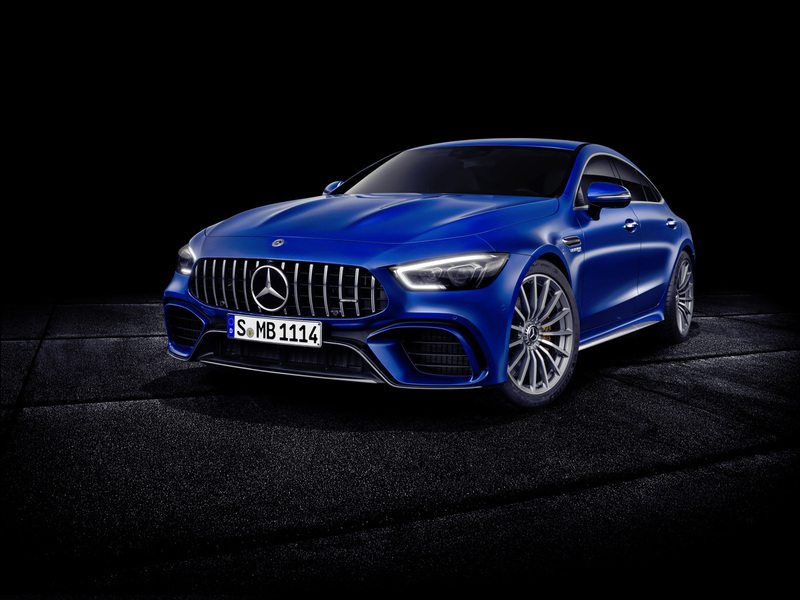 The new AMG GT 4-Door Coupe blends the impressive racetrack dynamism of our two-door sports car with maximum suitability for everyday use," said Tobias Moers, CEO of Mercedes-AMG GmbH. 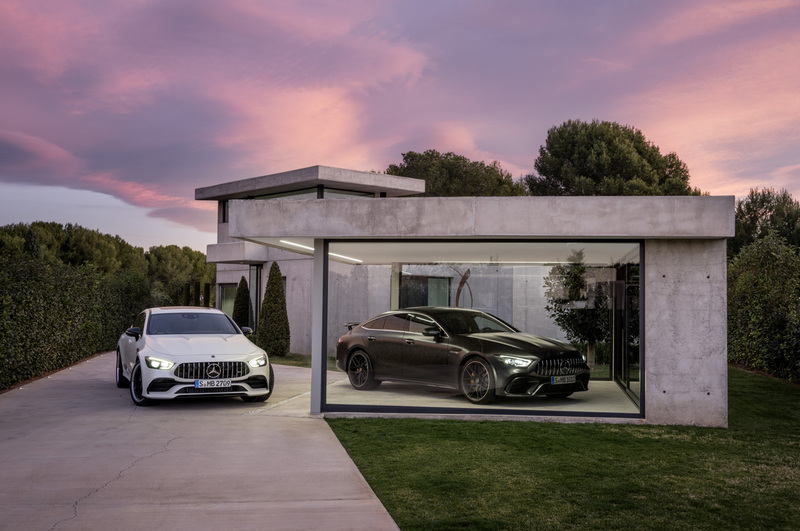 "It has a unique way of embodying our brand core, 'Driving Performance' and with its systematic configuration it will attract new customers for Mercedes-AMG." Mercedes-AMG's new flagship is available in three designations corresponding to its three engine options. The GT 53 uses a turbocharged 3.0-liter inline-six helped out by an "EQ Boost" electric power unit, making 450-horsepower in total and shooting the car up to a top speed of 174 mph. 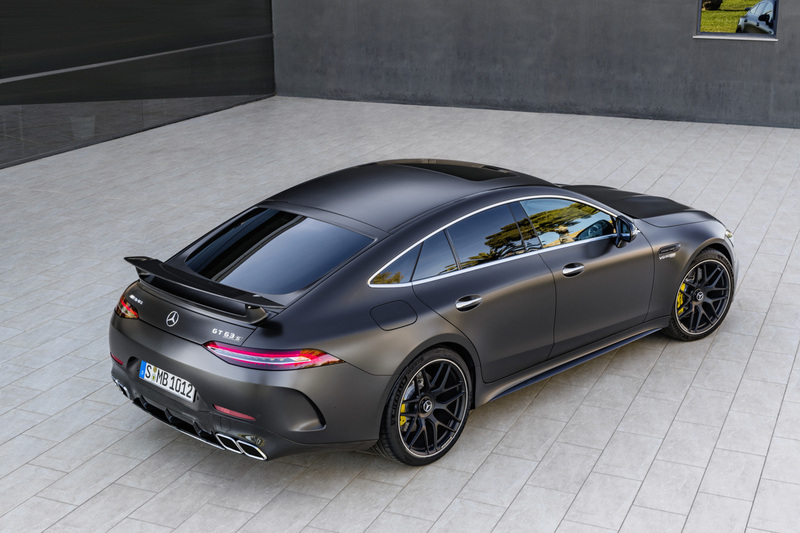 The 193-mph GT 63 features Mercedes-AMG's signature 4.0-liter biturbo V-8, pumping out 577-horsepower, same as the GT R. The 4-Door Coupe's top model is the GT 63 S, bumping that V-8's power up to 630 horses and rocketing the car to 195 mph. Both V-8-powered models also feature AMG Cylinder Management cylinder deactivation, which can be used when the car is in "Comfort" mode. The eight-cylinder models use the AMG SPEEDSHIFT MCT nine-speed multi-clutch transmission, allowing for lightning-fast shift times and includes AMG's launch control feature. The GT 53 on the other hand uses a nine-speed SPEEDSHIFT TCT torque converter, built specifically for the hybrid engine. 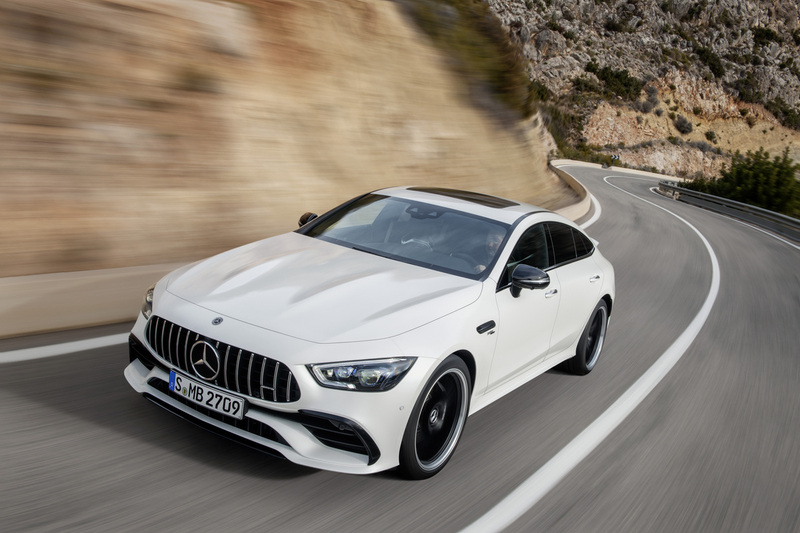 Unlike the two-door GT, all 4-Door Coupes use AMG Performance 4MATIC+ intelligent all-wheel drive, which switches between rear and all-wheel drive depending on the situation. The GT 63 variants have access to Drift Mode, which sends torque solely to the rear wheels to allow for controlled skids. Sadly Drift Mode is not available on the GT 53 bound for the U.S. market. Since active aerodynamics are all the rage right now, the 4-Door Coupe follows this trend with its AIRPANEL system, first seen on the AMG GT R. These louvers inside the front intakes work in conjunction with the rear spoiler to optimize air flow to aid handling. 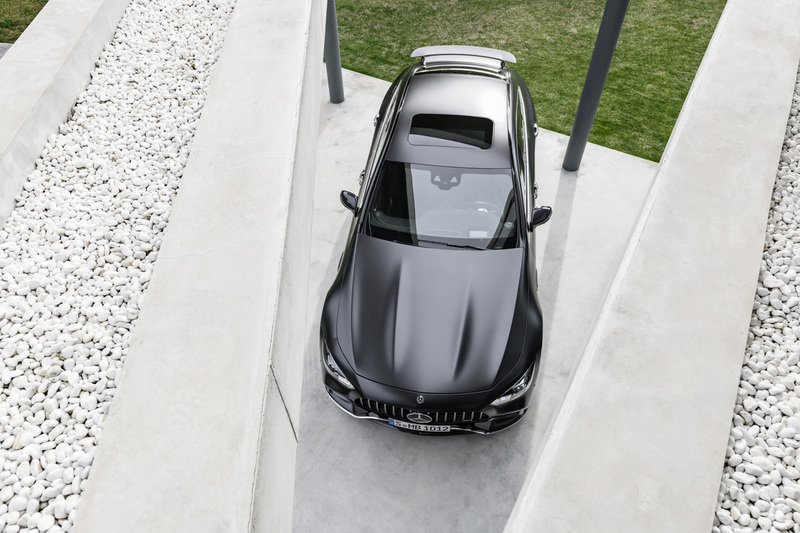 The GT 63/63 S owners who desire more downforce can select the Aerodynamics Package, adding a larger front splitter and rear diffuser to help the AIRPANEL manage airflow. Other performance features include active rear-wheel steering, six-piston front brake calipers, six driving programs, and a limited-slip differential. The car's cockpit features two 12.3-inch capacitative-touch screens, which are highly-customizable and control most of the car's driving modes, limiting the amount of dials and switches needed. 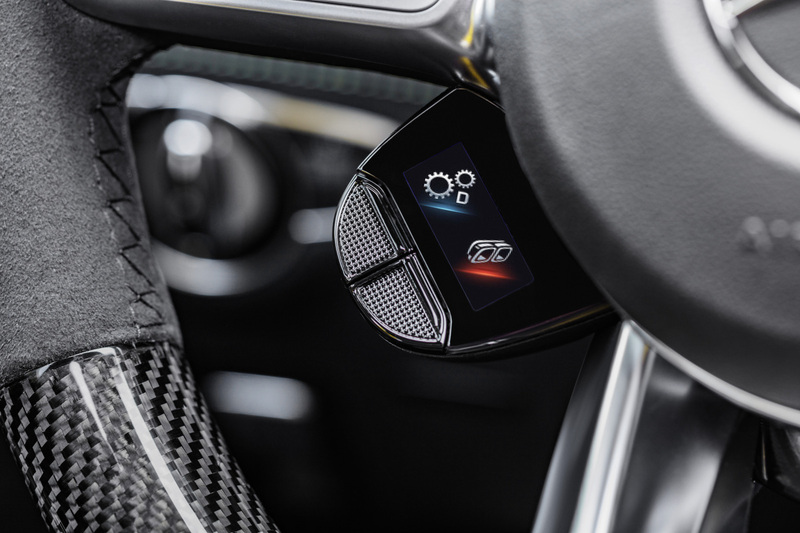 The new AMG Performance steering wheel features two tiny touch screens that can be used to control many functions on the infotainment system. 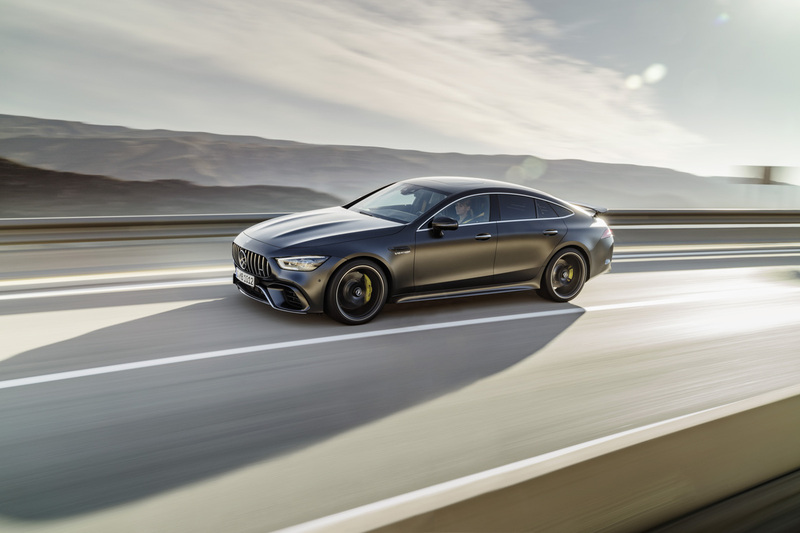 Every 4-Door Coupe comes standard with AMG TRACK PACE software, which analyzes and records more than 80 types of performance data to help increase lap times on the track. 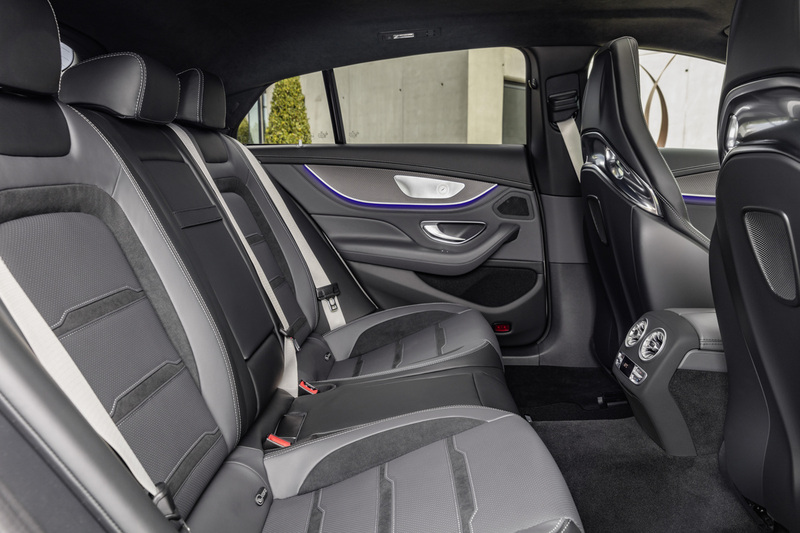 Oh yeah, and the 4-Door Coupe dispenses its own special fragrance that Mercedes describes as an "appealing, sporty scent to match the spirit of the performance brand." 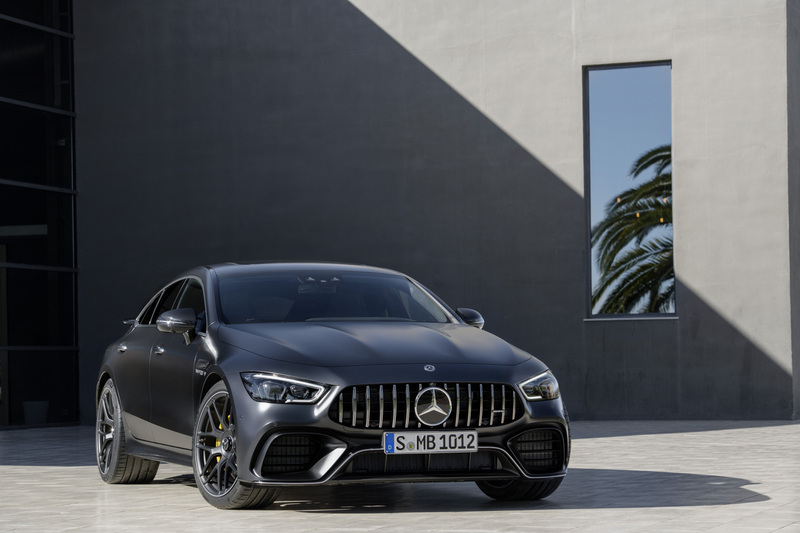 This brand new model in AMG's lineup will go on sale next year, with the GT 63 twins coming out in early 2019 and the GT 53 arriving soon after.